Populous, the global architecture and design practice, renowned for iconic projects such as Wembley Stadium, Emirates Stadium, Royal Ascot racecourse, The International Convention Centre in Sydney and Silverstone’s Formula 1 Circuit, announces the official opening of a new office in Dubai to bring its design expertise to its Middle Eastern clients. The Federation Française de Rugby’s new stadium project reached another exciting milestone today, with the signing of the contract between the FFR and the developer and main contractor, Ibelys. The contract was signed at a ceremony in Paris by the President of the FFR, Pierre Camou, and BESIX Europe General Manager, Jean Polet. The new home of Olympique Lyonnais opened on the 9th January 2016. 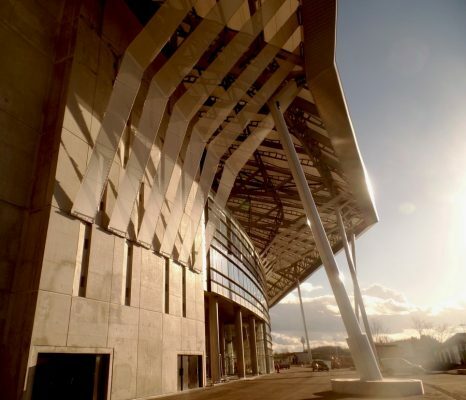 The Grand Stade de Lyon will become a fantastic new home ground for one of France’s most iconic football teams and provide a key venue for the UEFA Euro 2016 Finals, including the first semi-final on the 6th July. Approval for 12,000-capacity Bristol Arena building and outline plans for the rest of Arena Island. Fisht, the Sochi 2014 Winter Olympic Stadium, has been featured on a commemorative 100 rouble banknote commissioned by the Central Bank of Russia to celebrate the forthcoming Winter Olympics. The bank started issuing the notes at the end of October, a hundred days before the start of the Games and 20 million notes have gone into production. The design of the banknote depicts the Sochi Stadium on one side and a flying snowboarder on the other; it is the first Russian banknote ever to feature a vertically orientated image. The new stadium, which has already hosted the opening and closing ceremonies of 2013 Summer Universiade – the second largest sporting participation event in the world – is to become the home of the Russian Premier League football club Rubin Kazan. Kazakhstan has a new national stadium, the Astana Arena. The multi-functional stadium with retractable roof was designed in association with Tabanlioglu Architects. This building replaced the legacy of the memorable Orange Bowl in Little Havana, adjacent to downtown Miami. Situated on the same footprint, the ballpark is intended to be the anchor for infill and redevelopment on the site. This 37,000-seat MLB facility includes a retractable roof to shield spectators from the sun and rain, inherently changing the perception of summertime baseball in Florida for generations to come. The London 2012 Olympic Stadium is one of several landmark international sports venues to feature in a fully-updated and redesigned fifth edition of Stadia, the essential and long-established guide to stadia design. The new edition continues to draw on the unrivalled experience of the architecture firm in sport architecture, combining the expert views of co-authors and practice Senior Principals Rod Sheard and Ben Vickery as well as Geraint John. After several months of discussions with three competing groups, the FFR has made its choice of designers and has issued the first computer-rendered images for the new French Rugby Stadium building. While Christchurch continues the painstaking process of rebuilding after last year’s destructive earthquake, optimistic signs of renewal are emerging across the infrastructure landscape of the southern New Zealand city. Melbourne will be the world’s first Grand Slam tennis venue to have three feature courts with operable roofs. Minister for Major Projects Denis Napthine and Minister for Sport Hugh Delahunty today unveiled the new design for Melbourne Park’s Western Precinct, which includes a redeveloped Margaret Court Arena with an operable roof and increased capacity by 1,500 to 7,500. $100 million-project first construction phase, which includes a 3.1 Km track, pit-lane, 4×4 off-road track and team garages, planned to be completed in 14 months. The autodrome location has a unique topography that involves the movement of 1 million cubic metres of soil, equal to a line of lorries put together from Buenos Aires to Cordoba. Construction has commenced on the world’s largest indoor arena in Manila, in the Philippines, designed by the international architecture firm, Populous. 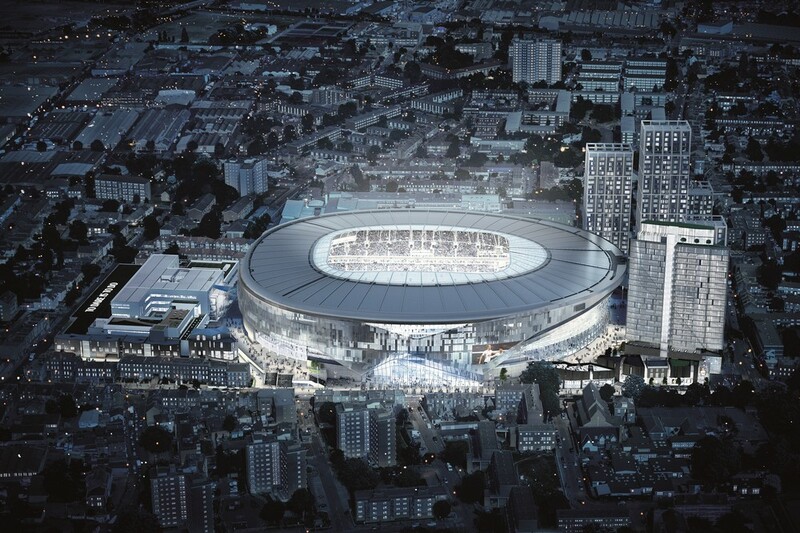 In a ground breaking ceremony held last week, the arena design was described as a ‘phenomenal structure’. This 2011 Rugby World Cup Venue in southern New Zealand, is the world’s first permanently enclosed, natural turf stadium and hosted four fixtures during the Rugby World Cup. 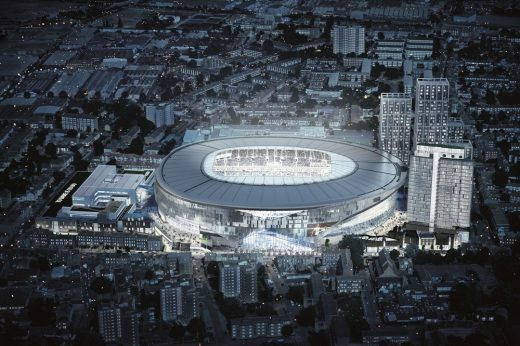 Designed by international architecture and design practice Populous, and in association with the local firm Jasmax, the new stadium replaces the legendary Carisbrook House of Pain. Senior Principal of Populous is Rod Sheard. In Apr 2009 global design practice, HOK Sport Venue Event announced its new name – Populous. The rebranding follows its successful management buyout in December 2008 from HOK Group. The new brand means ‘full of people’. September 11, 2018 in Architects.